Walter C. Crowley was the founding president and executive director of History Ink, the non-profit historical organization which produces HistoryLink.org, the nation’s first online encyclopedia of local and state history created expressly for the Internet. 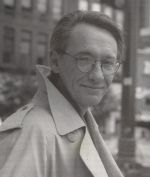 A Seattle resident since 1961, Walt Crowley worked as a journalist, a social services director, a policy planner for the City of Seattle and the Municipal League of King County, a television news commentator, and a freelance writer and communications consultant. He was active in numerous social justice and historic preservation causes since the 1960s, and was author or co-author of more than a dozen books on local history and institutions. Walter Crowley died from complications following cancer surgery on September 21, 2007. In 2007 he received posthumously the highest award bestowed by the Washington State Historical Society — the Robert Gray Medal. The medal recognizes distinguished and long-term contributions to Pacific Northwest history.